Made by Neronim, these silver plated glass holders will add glamor to any candlestick or candelabra. 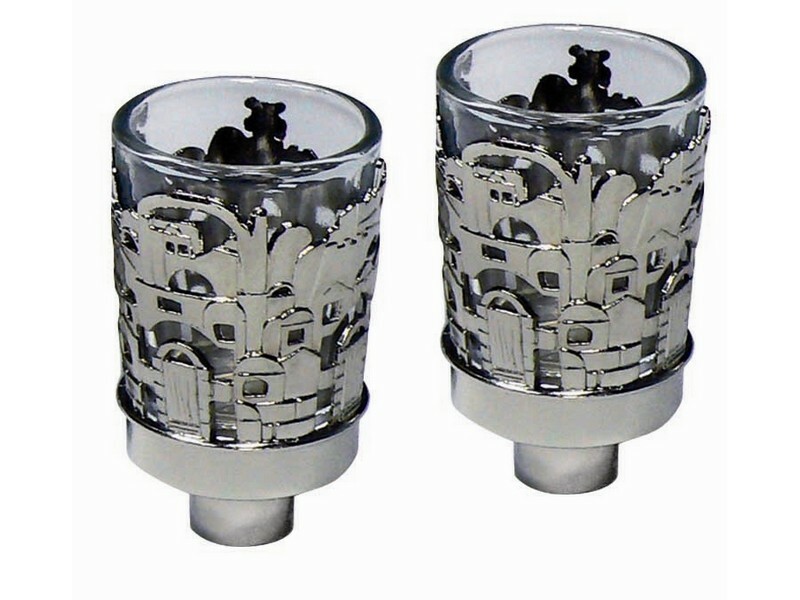 Beautifully designed with the skyline of Jerusalem, these glass holders are made to hold a customized short candle. The flame is lit inside the glass and is great to use near vents or air conditioners which would otherwise blow out flames. Your Shabbat and Yom Tov table will surely be enhanced by these glamorous glass holders.